Won Best Home On Tour! 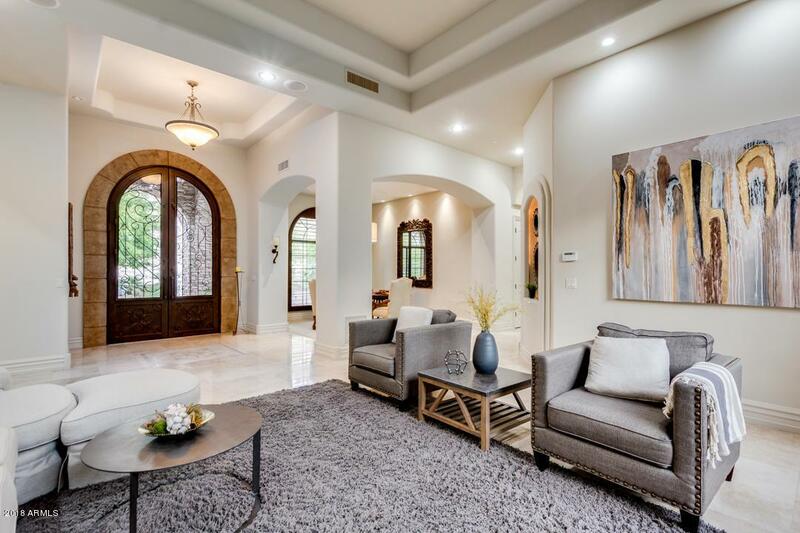 Soft sophistication welcomes you to this luxury custom home situated on a private .91 acre lot. An open living and dining area flows nicely into a well appointment gourmet kitchen with dualdishwasher, oven, gas cooktop, warming drawer, Sub Zero Refrigerator and wine cellar. 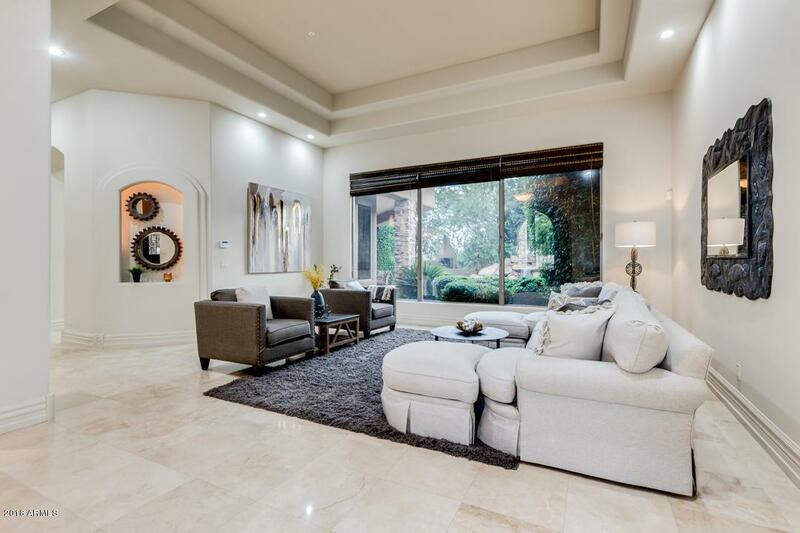 This home features a split floor plan with a luxurious master bedroom/bath, large walk-in closet, private exercise room and patio, full den and three additional bedroom ensuite. The media room could transition into a separate guest quarters with outside private entrance. Family room includes a stone fireplace, full bar and large sliding door overlooking the lush and private backyard. 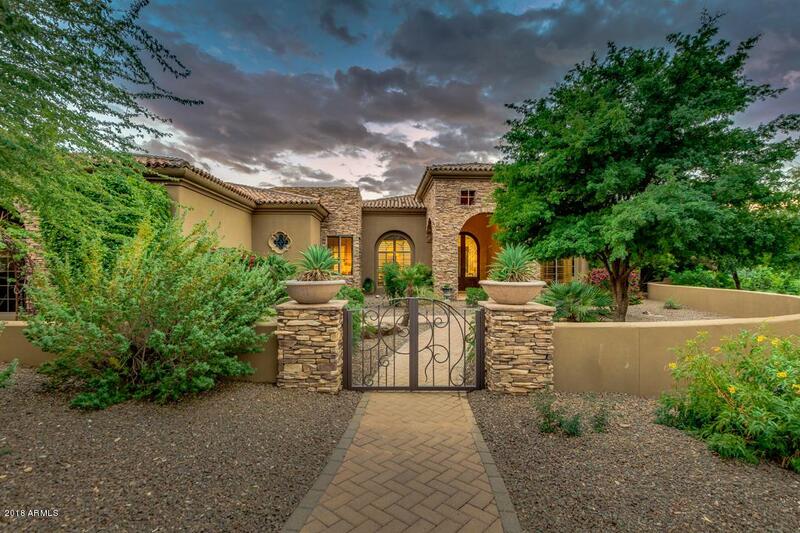 View beautiful Arizona sunsets with city and mountain views while enjoying pool/spa/waterfall with built-in bbq..